🎞️ How does invoicing work in Current RMS? 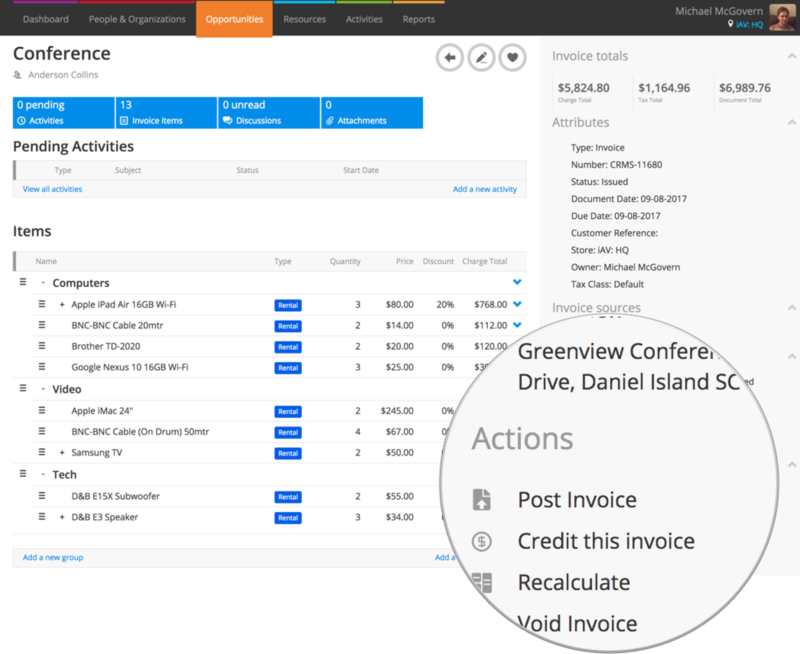 Create invoices and credits linked to opportunities and projects, or create manual invoices. Invoicing is perhaps the most important part of the rental cycle – everyone needs to get paid! How can you create an invoice? When invoicing from an opportunity or project, you can choose how detailed you’d like your invoice to be: get a full itemized breakdown or a clean one-line invoice. Where can you create a credit? There’s also an option to void invoices if you prefer. Sometimes you might need to raise an invoice for a particular percentage or straight dollar figure of an opportunity or project. 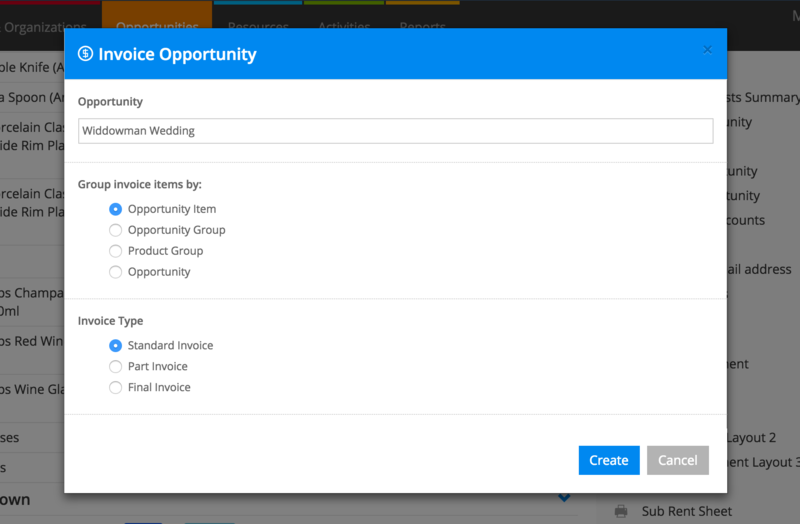 Current makes part invoicing easy, simply choose the “part invoice” option when creating an invoice. When the job is all done, raise a final invoice by choosing “final invoice” and Current will generate an invoice for the balance. When you invoice from an opportunity or project, a separate record is created in Current RMS for the invoice. It’s a snapshot of the opportunity or project at the time that you created it. This is great for events where numbers and products change a lot; if you raise a 50% part invoice now and prices on the opportunity change, the amount you’ve taken won’t be 50% any more but you’ll be able to raise a final invoice less the amount you’ve taken. It also means that you can create multiple invoices and credits against an opportunity. They show up under the Invoices heading on the right-hand side of an opportunity. Quickly record payments & refunds received against an invoice and display this to your customer using the “take payment” functionality in Current RMS. Your invoice layout shows the balance to pay to your customer. Current lets you create invoices and credits and log payments against them, which might be enough for your needs. Once integrated, a new Post Invoice option appears so you can send invoices and credits straight to your chosen linked accounts solution.